As the years pass, the lawn mowing may go from a weekly nuisance to a literal pain; those "senior moments," once humorous, may morph into forgetting important medications or not remembering you left dinner cooking on the stove; and negotiating the stairs might as well be climbing a mountain. It means we also have important decisions to make about how we will live as we get older. You may be adamant about staying in the home you've always known or perhaps you want to downsize. Maybe you want to save your children the worry of looking in on you; or maybe you are the child making the decision with your parent(s). A stone outside the front door of a southwest Topeka home proudly proclaims it is the residence of the Redikers. Janet Rediker, a retired extension agent, and her husband, Jerry, a retired teacher, moved from Emporia a year and a half ago and promptly made the house their home. Their beloved flower gardens are alive with color, even in the summer heat, with birdhouses, figurines and other assorted surprises placed throughout to enjoy. Inside, one room is devoted to Janet's collections, including a stunning array of Marlow woodcuts, while another room is an office where Jerry can hide away. Not that they're there much. Janet has a full schedule giving people rides to appointments and visiting shut-ins, while Jerry runs down a weekly agenda packed with meetings, volunteering, and pool and cribbage games. The Redikers' home is part of Aldersgate Village. When they decided to downsize and move closer to their children, they chose an independent living community. "Health wise, we needed to go someplace where I knew she would be taken care of down the road," Jerry said. Independent living is at the lowest end of the continuum of senior living communities. Renessa Lolley, sales and marketing coordinator for Aldersgate Village, says it is for people who truly are independent. "We're targeting those people who aren't getting out of their homes as much, who want a community setting where there are activities going on," Lolley said. "You're surrounding yourself with other people who are your age and similar lifestyle, but you have the freedom to be as active as you want to be." While it is much like living in your own home, independent living communities offer services to make life easier. 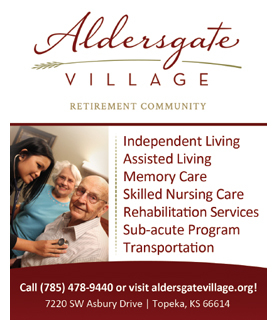 Independent living residents at Aldersgate receive maintenance, lawn mowing, emergency call systems and security. If desired, they have access to housekeeping, laundry and transportation services. Residents are welcome to make additions to the yard, such as the Redikers’ flower gardens, but they must care for them themselves. Those who need a bit more assistance, but aren't at a level where they need full-fledged assisted living, may utilize home health services. Plus, all residents are invited to participate in the social activities Aldersgate offers. Aldersgate is one of several Topeka senior living communities that also offer higher levels of care, which means a person can go from independent living to assisted living to skilled nursing care without moving far. Lolley says that often is a big plus for families. "You don't need to start the process all over again," Lolley said. "Change is hard, so thinking about moving to another level of care can sometimes be scary. Having people you trust to visit with about it can make the transition easier." Every evening, at 6 p.m., a group gathers in a common area at Atria Hearthstone to play cards. Jared Holroyd, senior executive director at Atria, believes it's those small, social engagements that are the biggest advantage of an assisted living environment. "We've talked for decades about the increasing depression of seniors but we haven't looked at why," he said. "They're not out and about. They're not seeing their friends." Marsha Anderson, marketing director of Presbyterian Manor agrees. "(Seniors) may not have the interaction required to stay mentally healthy and emotionally stimulated," she said. "We see people move in and start to bloom. Most people respond to human touch. They flourish when they get it." While social interaction is important, the basis for assisted living is providing help with the activities of daily living. People may receive meals, laundry and cleaning service, assistance with dressing and bathing, and help with administering medications. Residents in assisted living choose the extent of services they receive. The services are delivered in a home-like setting, with residents generally bringing their own furniture to outfit their apartments. "You are free to come and go," Anderson said. "They are independent, except they need a little help on a daily basis. The Home Health staff sees each resident daily based on their individual needs. You can be as active or inactive as you want. Your independence isn't taken from you—it's enhanced." Holroyd admits home care services can provide some of the same basic assistance. But, he says, if the burden is increasing on family and caregivers, it may be time to consider a move. "The reality is somebody may be spending six hours a week with mom, but the rest of the time, she's by herself, so you get things like isolation dementia or depression," Holroyd said. "It is ideal for the person who lives at home and who is lonely." Anderson says it also gives peace of mind to both the family and the older adult. Residents can call for assistance at any time. "It alleviates that, 'I'm all alone and I'm afraid and I can't get out,'" she said. "(In addition), parents have a terrible time with role reversal. They don't want to impose on family, so they don't call for help and they start to decline." A growing need at all levels of care is in the realm of memory loss. While Presbyterian Manor is among facilities with a memory care unit in their skilled nursing area, Atria has a separate, secure area within its assisted living facility for those who are in physically good health, but who have severe dementia or Alzheimer's disease which puts them at risk for walking away from home. Staff in this Life Guidance area are specially trained and take the same approach to caring for residents with memory loss as they would with any other resident. "It's trying to help them live that same high-quality lifestyle everyone else has, but meeting them where they're at and realizing they're not going to get that back, but they can still enjoy life," Holroyd said. Holroyd says assisted living is a relatively new industry, just coming into its own over the past few decades. Once seniors and families understand what it is, he says, they feel more comfortable with what it can offer. Maxine Taylor proudly holds up the bright red and yellow birdhouse she's just painted. Five other ladies and three certified nursing assistants gather around the table express their approval. "(I like) being around other people. Otherwise I'd be sitting home alone," Maxine states matter-of-factly. Maxine lives at Brewster Health Center, the adult care home portion of Brewster Place Retirement Community for people needing round-the-clock skilled nursing care. "This is truly 24/7 care," said Lea Chaffee, the administrator of Brewster Health Center. "There is a person available to help with everything. This setting really is what you need, whenever you need it." The adult care home setting is designed for people who can no longer be safe in their own home without 24-hour support. They may be unable to take their medications appropriately or have a physical disability that requires assistance for daily tasks such as eating or using the restroom. But, Chaffee says, today's skilled nursing facilities aren't about merely making sure a person is dressed, cleaned, fed and getting their medications. Today's facilities are about helping a person live. "The biggest surprise is that (residents) are busier than they would have been at home," Chaffee said. "A lot of people come to this setting and think there's nothing to look forward to and we give them things to look forward to." Chaffee says the realm of choice is a big shift in the long-term care industry. "I think (seniors) feel like they come into this environment and the nurse will make all the choices for them and they don't," Chaffee said. "They get to wake up when they want. They get to eat when they want. They're able to make choices about their medical care, too. It's not like a hospital anymore. It's more like a home." 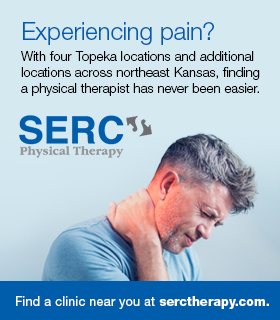 Families can expect the cost of a skilled nursing facility in Topeka to run $5,000 to $8,000 a month, depending on the level of care needed and the privacy level of each room. "It's the most expensive time in our lives, the senior years," Cory Horinek, director of marketing for Brewster Place said. However, he says, the tradeoff is that many families will find their older loved one's condition will stabilize or even improve. "Most people will live a little longer," she said. "They will often improve greatly because they have that support. Oftentimes, they will be more independent because we're providing the care." Home health aides visit a certain Topeka-area home every morning and help a husband and wife get out of bed, dress for the day and get into their wheelchairs. At night, the aides return and help the couple into bed. The couple wants to grow old, together, in the home they've always known. Their story comes to mind for Marsha Kent, vice president of Clinical Services at Midland Care, when she describes the range of services available for people who want to continue living at home as they age. "If we didn't go out there twice a day and help them, they'd be in a nursing home," Kent said. With baby boomers facing the realities of their golden years, the demand for home health care services has skyrocketed over the past two decades. Karren Weichert, Midland Care President and CEO, says her organization has responded by creating a full continuum of care for those who desire home-based services. "It really does support dignity and helping a person stay in control of their own lives," Weichert said. To that end, the government created PACE, the Program of All-Inclusive Care for the Elderly. Midland was the second PACE site in Kansas and Presbyterian Manor just implemented the program as well. 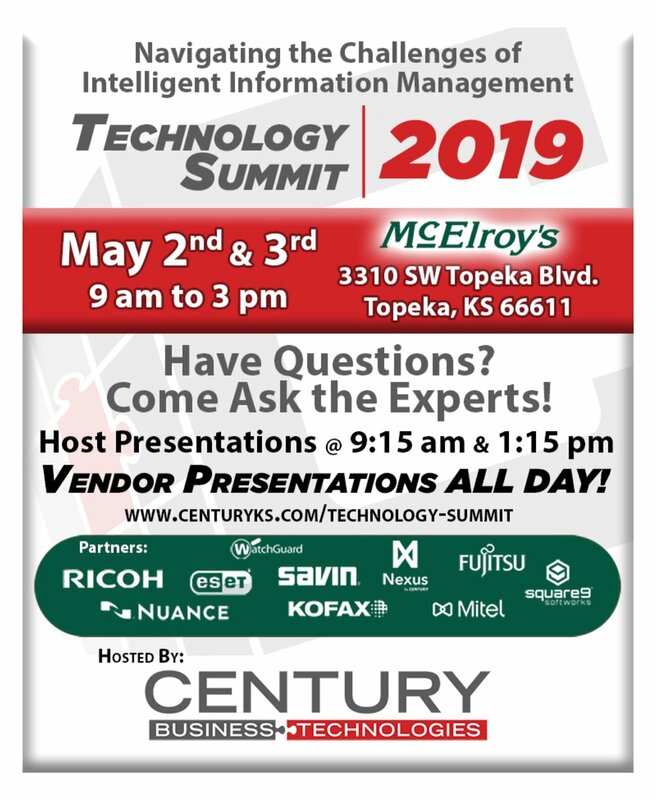 Services are provided through a contract with the state of Kansas and the Center for Medicare and Medicaid Services. PACE is a comprehensive program through which enrollees have their health care needs coordinated, as well as other personal care needs that may need to be addressed. To qualify, people must be 55 years of age or older and meet the state’s criteria for nursing facility care. "The intent of it is to keep people in their home as long as possible," Weichert said. Those who are not eligible for PACE, or who have less-intense needs, may opt for Midland's Thrive at Home or Home Health programs. Thrive at Home addresses nonmedical needs with which people need assistance including personal care, running errands such as buying groceries, doing laundry or preparing meals. The program also has licensed staff who can assist with certain medical needs such as setting up pill boxes, administering monthly injections, providing non-skilled wound care and helping manage conditions like diabetes. Many times, the staff also offer a needed dose of companionship. "It's just being there to listen and share time and stories," Kent said. "Sometimes, when people live alone, they feel isolated. They can't get out to the grocery store and talk to the checker anymore. The relationships that develop are pretty incredible." Midland's Home Health program is for the more skilled nursing needs required after a hospital stay. Kent says these services are short term or intermittent and might include wound care management, overseeing adjustments to a new medication, physical therapy or social work intervention. "The goal is to keep people in their homes because that is where they want to be," Kent said. "We wrap the services around them based on what they want and what they need." Kent says it is possible to meet most needs at home, but it really is meant to be a part-time service that compliments caregivers and families. At the point that 24-hour care is required, Kent says families will need to weigh cost factors and decide if moving to a facility is a better option for their situation. If caregivers need a short break or if a family simply needs assistance in watching an older loved one while they're away at work, Midland offers an Adult Day Care. "It allows caregivers a break," Weichert said. "It also allows an opportunity for socialization for people who are often isolated (and) it provides an opportunity for wellness monitoring." The continuum of services offered in the home extends through end-of-life hospice service, for which perhaps Midland is more commonly known. Weichert says 80 percent of hospice care is done in a person's own home. "We believe that you go to hospice when you're at the end of fighting the disease," Weichert said. "We're very aggressive about palliative care, about enhancing quality of life for people when they're at the end of their life." It's important to do your homework in choosing a service. After all, the staff will have access to everything in your home and will be overseeing vital health needs. Check that the service is licensed or certified in some way. Check a service's record with the Better Business Bureau. Susan Harris, options counseling program manager for the Aging and Disability Resource Center at Topeka's Jayhawk Area Agency on Aging, helps older adults and people with disabilities understand their options for care, and then connects them with resources in their communities. "We hear the concerns they're having, their needs, the difficulties they have, then we will start with the continuum of services," Harris said. The continuum of care ranges from in-home services, up through independent and assisted living, to 24- hour skilled nursing care. "Loved ones think they can do everything on their own," Harris said. "We encourage the older person to ask, 'Am I doing it safely? Is it taking me a lot longer to do something and, if it does, do I get tired easily while I'm doing it?' We'll ask questions like, 'How do you take your bath? Do you have a shower chair? Do you have grab bars? Or do you stand up at the sink and sponge bathe because you're afraid to get in the tub?'" From there, Harris says, the conversation may turn to the person's support system. She says people need to consider how much family and friends are willing and able to do, whether those people are becoming overwhelmed and whether there is a backup plan for daily services that cannot be missed. "A person could get sick or have a conflict," Harris said. "If you don't have an informal support system of family, friends and church members that could provide that backup, you may have a time when you don't have a person come that day to give your bath or provide your lunch." Harris says many services provide in-home assistance for daily living tasks, such as cooking, cleaning, small errands and even bathing. More skilled services, such as medication assistance and nursing visits, she says, might lead to considering a move outside the home. Make no mistake—cost must be part of the discussion for families looking at lifestyle options. Janis DeBoer, executive director of the Kansas Association of Agencies on Aging, says many people don't realize that they will pay out-of-pocket forcare and support services during retirement. Medicare provides some limited coverage for services like skilled nursing or physical therapy, but not for the bulk of the bill. For example, DeBoer says the state’s average Medicare payment for nursing facility care last year was $3,564 a month. HHS figures put the average monthly cost upward of $6,200. Medicaid will assist people with limited resources. The Kansas Senior Care Act provides some money to assist senior citizens with services enabling them to stay in their homes. Harris says those funds are administered through the Agencies on Aging, setting a sliding fee scale for home services based on a person's income and assets. Jim Hanna of Ameriprise Financial Advisors says long-term care insurance is a resource that may benefit middleclass people the most. He also says people with fewer assets may elect to spend them down to qualify for Medicaid. The financial issues should be explored when in your 50s or 60s. If you do go the long-term care insurance route, Harris says, be sure you read and understand what your policy will cover. This is a big decision so don't be afraid to ask questions. In addition to in-person counseling, the Aging and Disability Resource Center offers a booklet that lists the service providers in all of the key areas. They also have a separate booklet specific to nursing facilities, including a checklist of questions to ask and what to observe on your visits.